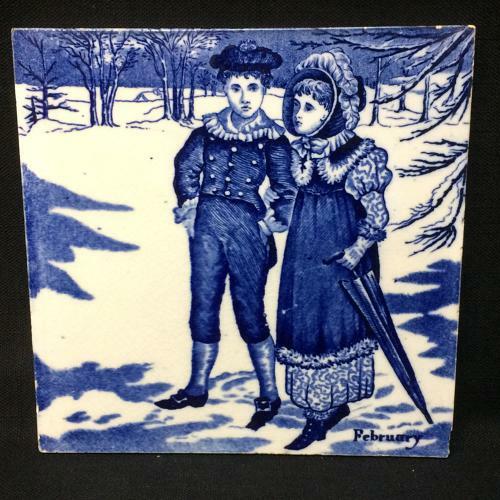 This Victorian 6 " x 6 "tile is transfer printed in dark blue against an off white background showing good detail and good contrast. The tile from the Early English 12 Months Series was designed by Helen J. A. Miles, an artist extraordinaire at the Wedgwood factories.